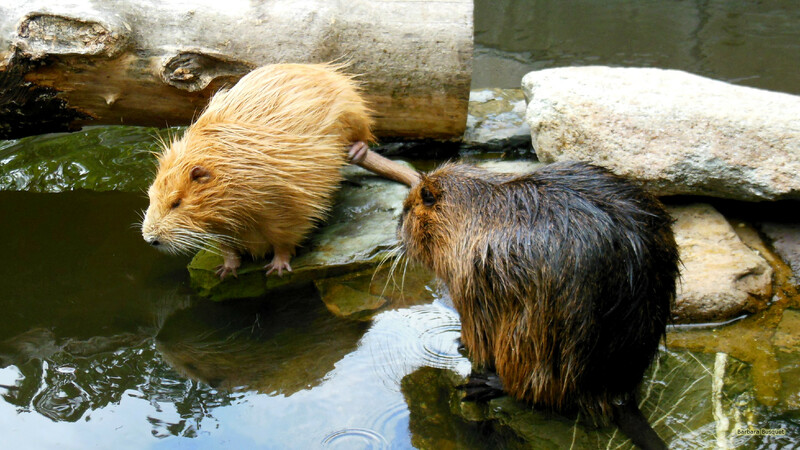 HD wallpapers with two coypus or riverrats. 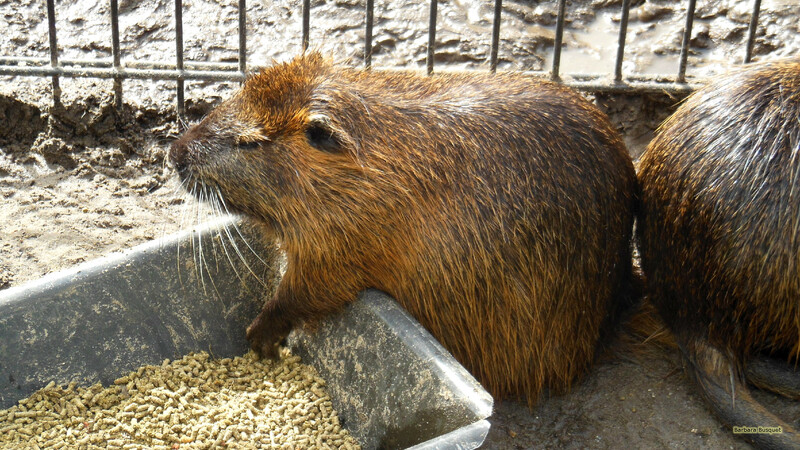 These are two names for the same animal.There is even a third name: nutria. 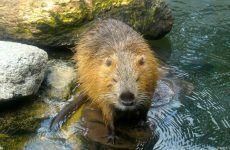 Riverrats are a cross between a beaver and a sewer rat. HD wallpaper with two coypus or riverrats. They sit on stones in the water. 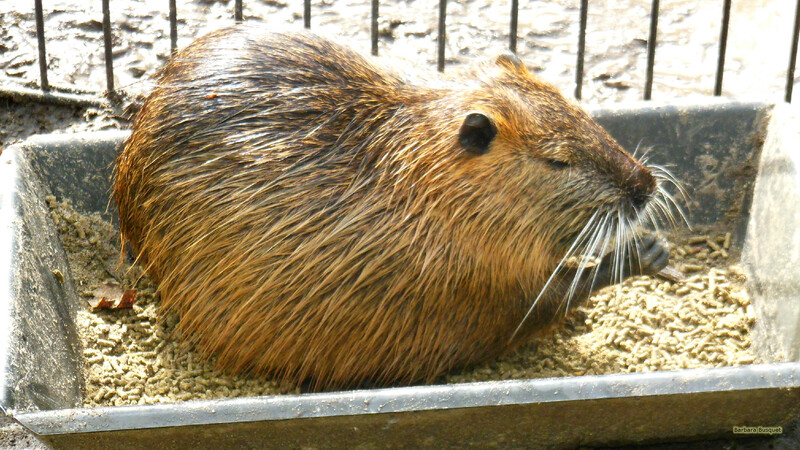 A Coypu eating. Funny he sits on his food. HD wallpaper with a Coypu eating.